On Sunday my ten-year old son began chemotherapy. I never thought I’d say that. Friday, December 9, 2011, is a date that will live in infamy for the McKinions. Our youngest child, Harrison, was diagnosed with Leukemia. It was devastating news. For those interested in following his treatment and cure, we’ll soon be setting up a mechanism for communicating with you. Until then, I thought I would pass along some of the specifics so you can pray in an informed way. Harrison has been lethargic and anemic for some time. He has also had night sweats and a loss of appetite. All of those are symptoms of Leukemia. But never in a million years would we have considered that possibility. However, his anemia was causing him to get increasingly pale. We noticed it, but never put together that his lethargy (going all the way back before his final baseball tournament in November) and anemia were related. We NEVER considered cancer. But one of his teachers, Mrs. Walker, proved to be (literally) a life-saver. She made a point to pass along her concern about his looking pale, so Ginger and I decided to take him to the doctor. Surely we would hear that he had a virus that just “needed to run its course.” We’ve heard that plenty of times. Ginger called me while still at the pediatricians to get to the ER at WakeMed hospital. She told me his hemoglobin was low. I looked up the symptoms online and, of course, the first hit was leukemia. My heart sank. I wept. When we got to the hospital the drew blood and ran tests. After a couple-hour wait the doctor told us there were two possibilities from what they saw: cancer or a virus. They had sent to results to UNC pediatric oncologist and would transport us to the UNC Children’s Hospital for further tests. We prayed it was a virus. I ran home to get some things to stay the night. Ginger would ride behind Harrison’s ambulance with my wonderful sister-in-law, April. She and my brother had been with us from nearly the moment we arrived at WakeMed. They are wonderful. Just as Ginger was leaving, the doctor stopped her to tell her that the oncologist was pretty convinced with was leukemia. Why he would tell her that just as she was headed this way, and in the hallway all alone is beyond me. I have wanted to punch him in the face for not waiting until I was there or until we got here. At any rate, Ginger called to tell me. I lost it. Friday night around 7:30, we got the official diagnosis: B cell Acute Lymphoblastic Leukemia. A terrible cancer. Harrison’s life was changed forever. He did just what I would have done in his place: he cried. He said over and over, “I don’t want to have cancer, I don’t want to have cancer.” He doesn’t want cancer. He’s scared. Scared of the treatments, of the pain, of dying. Ginger and I cried. All night. We don’t want him to have cancer either. We don’t want him to be scared. We don’t want him to suffer. We don’t want him to die. Saturday was a whirlwind. First thing they did a bone marrow biopsy, a spinal tap to test for cancer in the spinal fluid and push chemo into his spine and brain, and install a port to give him chemo and take blood for the next three years. We were overwhelmed. The first news we needed to hear was that his spinal fluid was clear of leukemia cells. Indeed, the test was negative! The rest of the day was slow, with Harrison hurting from the surgery. He’s has two blood transfusions. His blood numbers are finally up, so he’s feeling better, but he’s still sort at the port and where they did the spinal tap. He is in phase one of the three-year protocol. This phase is called “induction,” as the oncologist (Dr. Westin) and his team hope to induce remission (no observable leukemia in the blood or bone marrow). This is a 28-day process. Induction includes a regimen of chemo and steroids. Part one is this week, and began Sunday night with steroids and two infusions of chemo. Today and Tuesday are just steroids. Wednesday is a four-hour long infusion of a VERY serious drug. There will be a crash cart in the room because of the possibility of an allergic reaction. This is a real fear, but a necessary risk to attack the leukemia. If (when) all goes well on Wednesday, Harrison will be able to leave the hospital. That night or Thursday he should go home. All of us can’t wait for that day. Step two in the 28-day process is to continue steroids twice per day and come to the hospital for chemo at least once per week (every Tuesday). This is the most intense time of treatment as we try to kill the existing leukemia cells and kick start the production of red blood cells (in particular). The next six months will be at least weekly trips to UNC cancer clinic. If (when) those six months [a part of the protocol called consolidation] are completed successfully, Harrison’s treatments will be something like once per month for another two and a half years [this is called maintenance]. There are numerous possible setbacks that can happen all along, but now is not the time to address them. Step one is getting through this week and getting him. So, how can you pray for him and us? First, pray he can learn to take the pills that he’ll have to take at home (10 pills per day). He HATES medicine, and has already gagged and thrown up trying to take them. It’s a mind-over-matter thing, and we need the mind to get this right. Second, pray for safety during Wednesday’s dangerous, but necessary, procedure. Third, pray that this first week will accomplish what is intended so he can go home Thursday. Fourth, pray that the side-effects would be limited during this first phase. That’s a lot, I know. In coming days we’ll have a better venue to communicate, if you want to follow his path from diagnosis to cure. While Ginger, Lachlan, Blakely, and I are completely devastated by what our “little man” is going through, we are confident in the goodness of our Triune God, who has come to bring to us healing, spiritual and physical, in Jesus Christ. While God may not heal in an instantaneous manner, we know that he is healing our son through the therapy our doctor prescribes and administers. So many people have stepped in to be instruments of God’s kindness to us. More than we could name. Thank you for praying for our dear son, Harrison. Doc, know that the Salmon’s (and a whole clan of Donald’s in Kentucky) are praying for yall. Thanks for the update. Don’t hesitate to let us know if yall need anything (food, babysitters, restaurant giftcards to restaurants nearby the center, etc.). Please know that Harrison and your family are prayed for and that your family is loved by so many! Thanks for letting us into this trial that you all are experiencing. It is one thing to sit in your class and hear you teach the Word and it is another to have the privilege of watching you and your family live it out. Thank you for the blessing of witnessing you be a doer of the Word. Thanks for the update Steve. Let the little man know that the Robinsons are praying for him and look forward to rejoicing as the LORD covers him with healing wings. Let us know if you need ANYTHING. Caring Bridge is a great FREE resource to keep family and friends updated on Harrison’s journey. Check it out below. Many are praying for you and your family. Your blog brought tears to my eyes. Thank you for sharing and opening your heart to receive prayer blessings from friends and family. Harrison is on the WMBC prayer list as well as the Skipper family prayer list. I look forward to reading about his home going this week and the McKinions having a wonderful Christmas. May God’s healing hand be upon your young son. I know the Father has wonderful plans for his life … to Him be the glory! We are praying for Harrison and for you as you seek to shepherd your son and family this week and in the days to come. “In this world you will have trouble, but take heart, I have overcome the world” (Jn 16:33). I am praying for you and your family. Praying for God’s sustaining grace for each stage in this, His peace to be upon you, and His wisdom to guide you. Above all we pray for healing and the glory of God to be seen. We love y’all and will continue to lift y’all up and stand in the gap for you. The Sullivans are praying for Harrison. And for his family and caregivers. Dr. McKinion, this former student and his church are praying for Harrison, your family, and you. We don’t know each other personally, but it’s a privilege for me to pray for you at this time. I prayed in the specific ways you asked. My heart goes out to you as I am a mother of three. I am so encouraged to see you finding comfort and refuge in the Scriptures. Thank you! That blesses me. If you setup a caringbridge page, I would like to be added so I can pray for you. My email is madaisoca@yahoo.com. Dr. McKinion please know that Jay and I have been and will continue praying for Harrison as he goes through this first week and learning to deal with so many new things for his young 10 years. This is a very unfair illness, but thankfully we serve and belong to a very fair King who is in total control of everything. We are praying for you all, our hearts are with you. We have faith that our Lord all mighty is holding Harrison in HIS arms and comforting him. He will carry you all through this. We are here at the drop of a call. I saw this link from Dr. Reid, and I want to echo what Alison said. It was such a privilege to be in your class this semester and learn from you, and I want you to know that after our last hermeneutics class I couldn’t stop thinking about the story of Jonah – or more accurately, the story of God. The story of His goodness, kindness, and mercy. I can’t imagine what you and your family are going through right now, but I am so thankful that the Lord is your (our) Rock. I have already been praying for Harrison and for you all, and will continue to pray that the Lord will grant you strength and comfort during this time – 2 Corinthians 1:3 describes Him as the “God of all comfort”, and I pray that God will pour out this comfort on your family in the months and years ahead. Wow – this really brings it all home and in reality. This post brings tears to my eyes. My heart goes out to you all. I am praying for God to do exceedingly more than we could ask foror imagine (Eph 3:20). He is Mighty – He is able. And He has good plans for Harrison. Will pray without ceasing. What a powerful and gut-wrenching post – I don’t know what to write other than to say that my family and I are praying for you, especially for the four specific requests you have made. Tell Harrison that Wendy and I are praying for him. Tell him that Elizabeth plays with the pink hippo that he gave her, which has been named Harry the Hippo. Thank you for sharing. We are praying Psalm 126 with you. P.S. Our family has found caringbridge.com a useful mechanism for keeping everyone up to date. I am one of many you taught Church History a few years back and our family is honored to be able to pray for yours. May God give you His comfort one day at a time. Friends from Morrison Heights in Clinton, MS, are praying for you and your family. We remember you and your parents fondly. Please tell Harrison prayers will be going up for him from Botswana! (and we will be praying for y’all too). Dr. McKinion, I am praying for Harrison and your family. Know that you are in my thoughts and prayers! My heart aches for you and Ginger. Kimberly and I and the children are hoping in the Lord with you. Praying for Harrison and your family. We pray that God’s peace will be overwhelming in the days to come. Praying God’s comfort and peace for you! I am available to help at NCF with teaching/preaching, whatever, Steve. Special love from the Barndts! My family is praying for Harrison. Our prayer this day is for you all to have an unmovable faith that will not be shaken. Luke 1:37, “Nothing is impossible with God”. We are deeply saddened by this news. We are praying for Harrison each day. May God give you peace and strength during this time. Please let us know if we can help in anyway. Steve, My heart sank when I heard the news about Harrison. I just want you to know that Harrison and your family are in my thoughts and prayers and are already on two local Church prayer list. May God give you strength and comfort you as you face the challenges ahead. I know God will be Glorified through Harrison and your sweet family. You are dear to my heart and I ancioulsy wait to see God’s healing hand through it all. We are praying for you Harrison and the McKinion family. Per Isaiah 53:4-5, we proclaim healing and victory over this disease, in Jesus’ name! Today is the one year anniversary of when our 2 year old, Paxton, was diagnosed with brain cancer. He went to heaven 2 months ago and we have started a foundation to support other families still in the fight against cancer. Please let us know what we can do. In the meantime, we are praying for Harrison. We were so sad to hear the news about Harrison. Please know that he as well as you,Ginger and the children are in our prayers. We know that this is a difficult situation for you all and we trust that the Lord will surround you with His love and care. We will continue to pray for the nurses and doctors as they come in contact with Harrison also. We know that the Lord will give him & you all the strength that you needs to get through this difficult time. Please know that if there is anything that we can do- just let us know. We will send this out to “our prayer warriors”. Thanks so much for all of the kind words. Ginger and I are honored that you would bless our son in these ways. Today was a tough day as he’s struggled with the oral medication (not good AT ALL at taking them). But he’s a great fighter and is working hard at it. He’ll have about 20 pills a day to take for 28 days when we get home, so we have to get this down. You can pray that we’ll figure out the best way to make it work, and that he’ll be successful at taking them. Again, our gratitude is much deeper than words can begin to express. Dr. McKinion: I will certainly be praying for Harrison and for your family. I have had friends that have had leukemia. If there is anything I can do for your family please let me know. I’m retired from UPS this year and I’m available if you need me for anything just e-mail me and I’ll give you my cell phone number. My son-in-law Daniel Shrader attended Southeastern and is currently in Greeneville Tenn working with a ministry there. I will let him know to be praying for all of you also. My family and I are praying for all of you. We don’t know each other personally, but one of your former students Mark & Kaycee Wright told us about Harrison and your request for prayer. It is a privilege for my family to pray and pray in the specific ways you asked. Our hearts go out to you and your whole family. I know in all of this you are trusting in our Lord Jesus Christ and know that he is in control and will see you through this valley. If you set up a caringbridge page, we would like to be added so that we can pray for you and your family. My email address is: betgole@aol.com. Zoë Jordan is a classmate of Harrison’s. She and our entire family are praying for all of you. Please tell Harrison she says hello! Praying for Harrison and your family! My heart breaks to read this story! May God give Harrison peace and comfort while his little body fights this disease. Also, may the Lord give you all comfort, peace, and strength to walk through this journey with your precious son! Many prayers being sent your way! God Bless. Praying for peace and strength to rise up in your family as God does immeasurably more!! As soon as I saw a post from Mandy Norman, my heart sank that it could be the only Steve McKinnon I knew of. Ginger and I were in School at UM together and went to Brazil together. I am so sorry to hear that your family is going through this time. Harrison is being lifted up in prayer from Auburn, Alabama. I will continue to watch for updates here, as well as from Mandy and Dewayne as they have them to share. I hope and pray that Harrison, Ginger, you, Lachlan, and Blakely feel the prayers of everyone for all of you. I am praying for Harrison and all of you. Have prayed and will continue to pray for Harrison and your family. Our God is the great physician and we will petition him for complete healing and for as smooth a course as possible as Harrison is treated. On the practical side, taking meds with a spoonful of applesauce always helped my kids when they were younger. Maybe it would help Harrison. We are praying and rallying our prayer circles around all of you! Carson looks forward to hanging out with Harrison when he is up and running again! Love to you all! I am just saddened by the new of Harrison. I have been praying for him and the family since you first posted on Facebook. The Children’s Hospital at UNC is a wonderful place and Harrison is going to be okay. I have the utmost confidence in the doctors at UNC as I just got a clean slate for my cancer at the Women’s Hospital and just recently from a mass on my kidney. I know the doctor’s here are God sent doctors. Prayers are being lifted from the Stephens’ home!! If you folks need anything, please do not hesitate to call on me!! Dr Mckinion, you don’t know me but I have taken three of your classes. My wife and I and the church staff of which I am a part are praying for Harrison. Thank you for this update. Im just a Mom who heard about Harrison from a friend. My heart goes out to your family and prayers have been said, especially today, for awesome pill taking powers to overtake your little guy. Stay strong, fight the fight, keep the faith and good things will happen. I BELIEVE THAT HARRISON WILL WIN!!! Steve, we are praying with you about this trial. Know that your family is sincerely and deeply loved and thought very highly of because of our love for Randy and April. We have received testimony of your trust in the Lord from Cari and Josh Wredberg. Thank you for the testimony you have shared here, as well; you have bared your heart, and this helps us to pray better. We know that God will use this trial to dig a deep conduit in your souls, but only so that He can fill them with more of his scandalous mercy. We know this because it is what He has done for us through my breast cancer journey and Casey’s auto-immune disorder journey. Even when we mourn our inability to have seen the signs of the diseases before they became chronic, He was and is sovereign over our aging bodies. We implore you to keep turning your eyes upon Jesus. Everything else is Not Him. Harrison and your family are in my prayers and that of my students. Lord, may you comfort them with your peace and allow them to feel your presence with them in a real and tangible way. May you give the doctors wisdom as they develop the correct treatment that will put Harrison in remission. We thank you for what you are going to do in their lives as they walk through this trial together as a family. May Lachlan and Blakely feel your love and peace as they try and finish out the semester at school. We praise you for allowing Harrison to come home this week and spend time with his family and friends. We praise you for who you are, and the healing that you will bring into Harrison’s life. For it is in your holy and precious name that we pray, Amen. Please let Harrison know that his classmates were thinking about him and praying for him today. They missed him at the class gathering. Matthew has been remembering him in his prayers at night and Randy and I are lifting him, and you and Ginger, up as well. Of course we will keep an eye out for information on what your needs are – we would love to minister to your family in any way we can. Our family attends church at Crawford Baptist with your parents, and I am also Maureen’s cousin. We are so sorry about Harrison’s diagnosis. We have been praying for your family since we heard the news, and we really appreciate your sharing some specific prayer needs. We will join in praying for these things. We look forward to seeing God work as you travel this path. As for the pills, I recently read that pills go down MUCH easier when you tilt your head FORWARD when swallowing. This opens the esophageal passage, whereas tilting the head back constricts it. I’ve tried it, and it worked. My teenage daughter has always struggled with swallowing pills. She reluctantly tried this, and I’m thrilled to report she is now swallowing pills! I don’t know if it will help Harrison, but it might be worth a try. I live two doors down from your parents and I also go to church with them. I am so sorry about this devastating news, but as you know this didn’t take God by surprise. Our whole church family will be praying for Harrison and your WHOLE family. My daughter was born with a bowel disorder that caused many surgeries and hospital visits and stays for her. These verses were very comforting and powerful to my husband and me. Insert Harrison’s name where you see the word you. We would pray this over her daily and I know that God helped us through his word. 26 the LORD lift up his countenancec upon you and give you peace. I heard the news yesterday and it took my breath away. We enjoyed being on the Cowboys team with Harrison this year and have seen him at school several times. Karli is praying very hard for Harrison along with Karl and myself. I know that there have been so many people reaching out to help and this is time for your family to regroup and press on. However, if there is anything we can do other than pray 24/7 for you guys. Please don’t hesitate to ask. I live behind/beside mr. And mrs. Thompson and have known her for years. I also have known Maureen for years too. Their Facebook posts led me here. I can’t imagine your fear and hurt, but I do have two children that I love (as you and your wife love Harrison) and I pray for your entire family. God bless you all, and I’ll continue to follow his progress!! Steve, your mom and I went to Carey together and attend church together at Crawford. My husband had leukemia for 14 years so I can tell you that anything can happen at any time. Don’t be shocked when fevers spike or a rash appears. Keep a small bag packed for sudden trips to the ER. Your Christian friends will be there and don’t hesitate to call on them–they want to help but will not know how. We,who are so far away, will lift all of you up in our prayers-you can never have too many. Steve, I don’t know if you remeber me but we live on Firetower road in Semmes. You went to school with my sons B.J. and Matt Carpenter. We lost B.J. 12 years ago in an auto accident he was 29 years old. But know matter what their age they are always your baby. I can just image the terror your family is going through. But like you I know we serve a wonderful God and that He will be with Harrison every step of his journey. I will be praying for all of you,that the Lord will give you the strenght to face what ever is ahead of you. I believe in a miracle working God and that will be my pray for you all. I will also put Harrison on my church’s prayer list. Matthew 6:8 Your Father knoweth what things ye have need of, before ye ask Him. Luke 1:37 For with God nothing shall be impossible. We will be praying at church and in our time of family worship. I cannot imagine what you and your family are going through. One thing I do know, our Father in heaven knows and cares. We will be praying for God to use His healing power on your son. God was not taken by surprise and He has this. May God grant you the strength to walk this path. I was so sad when I heard this devastating news—praying for all involved—you two, your sweet son, and other two children, the medical team and all who minister to you, that you will know the peace of Christ. Lifting you up. My heart is broken for you all. Please know that you and your family are constantly in our hearts and in our prayers. May the Lord comfort and strenthen you in the valley! Our family have been and will be praying for yours. Father God, I pray for the McKinion family, asking Your Holy Spirit to comfort them today. I pray that they feel the prayers of thousands, and are given Your Peace that surpasses all understanding, in a way they’ve never felt. I pray for rest for each of them, and I ask You to provide them with the strength they need to meet each day with faith and hope. You, God, are able to do these things I ask in the name of your son Jesus, and I trust that you will meet each of their needs. Amen. Praying and weeping with you. Trusting Harrison into the Lord’s hands of mercy, grace, comfort, and healing. God bless you all. My wife and I love you all, are weeping with you during this time, and are lifting you up in prayer to our glorious Savior. Please let Harrison know that we are praying for him! We pray he can swallow those pills 🙂 Benjamin looks forward to playing some baseball with him as soon as he is able. Please keep us updated. Chris & I have been praying for you all. You and your family have been such a blessing to us, and we were heartbroken to hear this news. Please don’t hesitate to let us know if you need anything at all. I went to Carey with your Mom and your Aunt Janice. We are praying for Harrison and all of you. Our family is praying for Harrison and all of you! 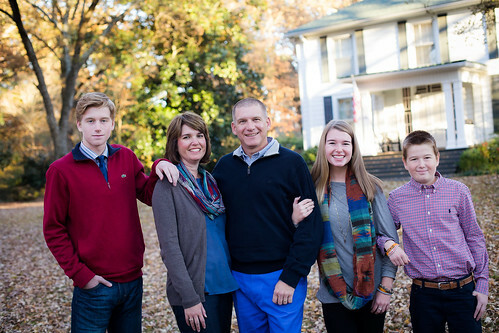 You and your sweet family have been a wonderful part of my time at SEBTS (then the ‘college’…I was in your first year’s Church History class in Appleby…10+ years ago…”Pre-Harrison”). I am fervently praying for you, Ginger, Lachlan, Blakely and esp. Harrison, with all that is coming up (esp. tomorrow and in the immediate future). I pray that through this God will continue to hold you closer, as a family, to Him and to each other. Looking forward to receiving updates and praises!!! My family, church and team are praying for Harrison’s complete recovery. We are also praying for your family’s strength. My family is heart broken for Harrison and your family. There’s only one love greater than that of a spouse, child or siblin and that is God’s love for his children(the McKinion family). I know that you know this, but I encourage you to remember it during the days and weeks ahead. God wants to reveal his power through these circumstances and then receive all the glory for Harrison’s recovery. These are “Testimony” times for your family. Please continue to let us know your specific prayer requests. As many others have faithfully committed, my family and Sunday School class will pray for you daily. I taught Karley Bolton at MGM she and her husband Andrew were both my students. We keep up with each other on facebook. She made a post about Harrison and I have been praying for him. I also put him in the prayer request list at my church! I have a 10 y/o son also and I can’t imagine what Harrison and you guys are going through! I am going to pray constantly for remission to come swiftly and for his pain to be lessened. God is good and He is the great healer. If I could give you guys a hug I would! God bless all if you! I am the mother of three girls, two at NRCA. We have many mutual friends and I have been praying for Harrison since I got the news. I was diagnosed earlier this year with breast cancer and know first- hand that the Lord will give you and Harrison the strength you need to fight this battle. I will continue to pray for you all! Dear Dr. McKinion and family, We are Dwayne Norman’s mom and dad and we go to church at Crawford with your sweet Mom and Dad also! Just wanted you to know that we are praying for Harrison and all of you. I pray that God will give Harrison just what he needs during this time of illness. we have grand-children and we can’t imagine what you and your family are going through. But we know that we all serve a loving God and our prayer is for healing for Harrison! please know that we care and are praying daily for Harrison and your family! Tyler was on the Cowboys with Harrison. We are heartbroken to hear this news and are praying for Harrison and the rest of your family. Please let Harrison know that he is in Tyler’s, and our, thoughts and prayers. We are praying for Harrison and all your family. We believe God is going to answer these prayers for Harrison. We also believe God will give each of you the strength to face each step of this journey God has asked you to travel. Please know his teachers and class mates are praying for him. We all miss him and look forward to having him with us again. Please give Harrison our love! My heart broke when I heard this news. We are praying for Harrison to be able to take those pills. We struggle with that at our house too. Kids can do amazing things and kicking this illness will be the first of many for your remarkable young man! We love your family and will keep your in our thoughts and prayers. A post on FB by Robin Carlstrom Oglesby led me here. Please know that we are praying for Harrison and for your family. I will add Harrison to our church’s prayer list. I know that our merciful Father will give you the strenghth needed every step of the way. This is every fathers worst nightmare. Be strong for your son and know that one day this will all be a story he tells his children. I am praying for all of you! Harrison’s story has touched so many hearts…mine is breaking for what he is going through. I am a patent and grandparent and I can only imagine your pain and concern… I am following you on Facebook and caring bridge! God Bless you all.